Between the heat and dust of demonetisation and the pounding of mortar shells across the Line of Control, the twin prongs occupying all headlines and mind space, a fast-evolving development demands our equal and undivided attention for the deep import it holds for the future. India is in dire need of a new China policy. The delicate equilibrium that defined a major part of the three decades following 1962 Sino-Indian war coalesced into a more stable relationship with the signing of the Border Peace and Tranquility Agreement in 1993. As former National Security Adviser Shivshankar Menon, who played no small part in the signing of the contract during the PV Narasimha Rao government, writes in his book — Choices: Inside the Making of India's Foreign Policy (176 Pages, Brookings Institution Press, 18 October, 2016), the agreement kept quiet one of the longest-running border disputes in the world across the Line of Actual Control (LAC) as both India and China got down to developing their economies and deepening their mutual engagement in other fields. The deal formalised the status quo and ensured peace despite disagreements over the delineation of international boundary in no less than 16 places. This, writes Menon, has been possible because both countries saw merit in de-linking bilateral trade and normal state-to-state relationship from the "restrictions and inhibitions of the war". 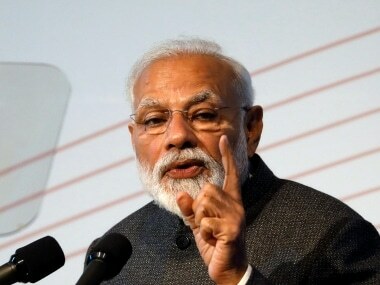 The strategy has served India well for at least a quarter of a century, a surprisingly long time considering the dynamic nature of foreign policy, but not anymore. 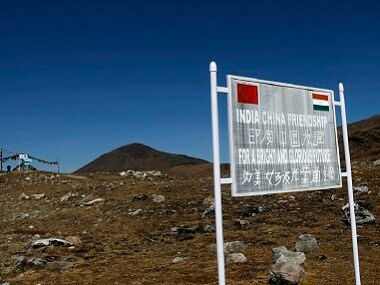 There are increasing signs now that the balance of power between India and China has changed. There is now less equilibrium between both nations who may not yet be on a path of direct confrontation but find themselves frequently locking horns on several issues on their divergent paths towards emerging as new 21st century powers. Not just clashing of mutual interest, a reevaluation of Sino-Indian relationship has also become imperative due to a shift in the balance of international order. As US seeks to look more inward, signaling an end to the post-Cold War era equilibrium where it was the sole superpower, the wane of American hegemony has coincided with the rise of China as a mercantile power rooted in a revisionist culture under President Xi Jinping. Since the turn of the millennium, as Menon points out in his book, Beijing has clearly abandoned Deng Xiaoping's 24-character-strategy — "Observe calmly; secure our position; cope with affairs calmly; hide our capacities and bide our time; be good at maintaining a low profile; and never claim leadership." Under a nationalist president, China now sees no merit in hiding its capacities and maintaining a low profile. It is bent on reclaiming the leadership mantle from a retreating US. By adopting a muscular and aggressive foreign policy, seeking a greater say in the global geopolitical order and recalibrating its strategic and maritime relationship with neighbours, Beijing no longer believes in biding its time. In the recent years, it has invested considerable resources in increasing its land influence over Asia and Eurasia. It is building a formidable network of ports and other related infrastructure throughout the Indian Ocean and Western pacific littorals that may serve as the initial platform for its eventual global ambitions. This has obviously resulted in a heightening of tensions with India, the other regional power and US, the incumbent global superpower. Even a cursory look at recent developments reflect a new exceptionalism in China's beliefs — the mark of a nation confident about its rise. It bends rules when it comes to own strategic and military interests (like disregarding the Hague Tribunal Ruling on South China Sea) but when it comes to honoring strategic interests of other nations, it throws the rulebook. Consider the way it has unilaterally stalled India's inclusion in the NSG Club by citing the Non-Proliferation Treaty. Beijing is furious with Donald Trump receiving a congratulatory telephone call from Taiwan President Tsai Ing-wen and says the US President-elect is undermining One China policy, yet does not blink twice before siding with Pakistan on Kashmir, showing a scant regard to New Delhi's One India policy. China's wielding of influence hasn't been restricted to its geopolitical hypocrisy. 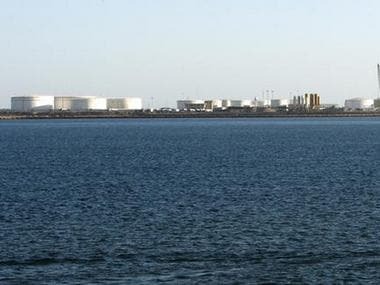 As Reuters reported, China has recently installed weapons, including anti-aircraft and anti-missile systems, on all seven of the artificial islands it has built in the South China Sea in blatant violation of international rules on a disputed area. It even went to the extent of seizing on Thursday an underwater drone deployed by a US oceanographic vessel in South China Sea, triggering a formal diplomatic protest and a demand from Pentagon for its return. US Senator Ben Cardin told Reuters on Friday that the seizure was "a remarkably brazen violation of international law." This is to point out that if China is not afraid of cocking a snook at the US, it will barely bat an eyelid while doing so against India. As The Telegraph reported, China on Friday read the riot act and threatened India with a downgrading of bilateral ties because President Pranab Mukherjee had on 11 December played host to the Dalai Lama at Rashtrapati Bhavan during the opening ceremony of a children's summit. India has dismissed its concerns, saying that the Tibetan spiritual leader was attending a non-political event, but this building of pressure is consistent with China's posturing. It had recently issued a similar threat against India over its $1 billion aid to Mongolia — another country that became subject to Chinese bullying by hosting the Dalai Lama. 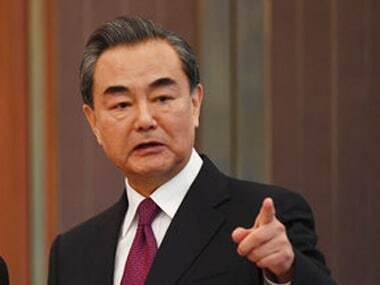 It had even warned India of "endless trouble" in Sino-Indian ties if, as PTI had reported, India raises objections to China's cargo service with Nepal, calling India's aid to Mongolia "a bribe" to counter Beijing influence. India has so far acted with reticence but New Delhi can afford to ignore the provocations only at its peril. This is not to say that India should wade headlong into a war with China. The Dragon uses provocations as a strategic tool to send across a message. 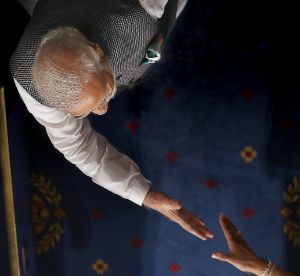 It's message to India is clear and unequivocal — that it is a bigger political and military power and New Delhi should take that into account while formulating its strategic interests. From India's point of view, the time is ripe for a re-engagement based on mutually agreeable interests. Peace with a China is imperative if India is to pursue its own trajectory to greatness.